Ari and I knew at first meeting that we were meant for each other. We both knew that we were on equal footing. We rarely had words,as reading eyes told everything needing to be said. Having had German Shepherd Dogs all of my life, I knew Ari before I ever met him and when we met, he was 8 weeks from Australia, from a Breeder who is the most passionate man regarding the Breed I have ever met. Ari is most definitely the smartest German Shepherd Dog I have ever met, and I used to be into showing and breeding and all that goes with it I have know a lot of German Shepherd Dogs, and I waited for years to find him. "Bloat" With prayer, he came through. I lost my Boy Ari on the 16th of March 2011 due to Degenerative Myelopathy. I had no idea that it was common in German Shepherd Dogs, and didn't know what it was either Still don't know if it is genetic There were the warning signs, like scuffing the back feet, but I thought I was lucky that I didn't have to clip all of the nails, as two on each foot would wear down and always look nice. He was never sick in his first 3 years,then came the Bloat. He is fine for 3 years,then shows advanced signs of DM. Aris mate Sevin is sad as am I. We were all going home, all papers in order, for a direct release on April 27. I have surrendered him to a Higher Power that he may be free. 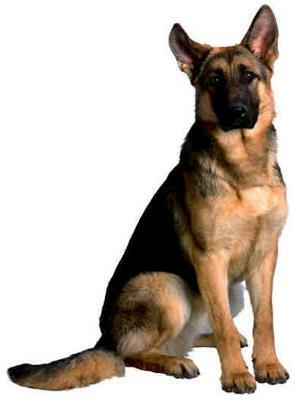 I have had 8 German Shepherd Dogs in my life, all from 8 weeks to the end. They are all very special and gave me much joy. Ari and Sevin and I have a very special bond. I am so lucky to still have her. I tell myself that I will never have another dog, but who am I kidding. I cant live without a dog in my life, and dont want to anyway. Thank you for allowing me to write here. It helps to let go of some of the emotions that really do no one any good. Loosing a great GSD is very hard, I know the feeling and pray that they will be remembered for all the great time together..